Membership fees remain unchanged for this academic year. The full year’s membership fees are due at the beginning of the academic year. Those who cancel their membership by 31st December will have their membership fee for the second half of the academic year reimbursed. Please include your child’s name in the remarks. The membership fees paid to our registered charity are considered donations. When Hungarian School London receives a donation from a UK taxpayer, we are entitled to claim an amount of tax (calculated at the basic rate of income tax in that year) paid on that donation. All that is required is a signed declaration form from you confirming that you are a taxpayer and that you would have paid or will pay sufficient Income and/or Capital Gains Tax to cover all the Gift Aid claimed on all your donations in that tax year. You will find further information on the back of the form. Thank you. 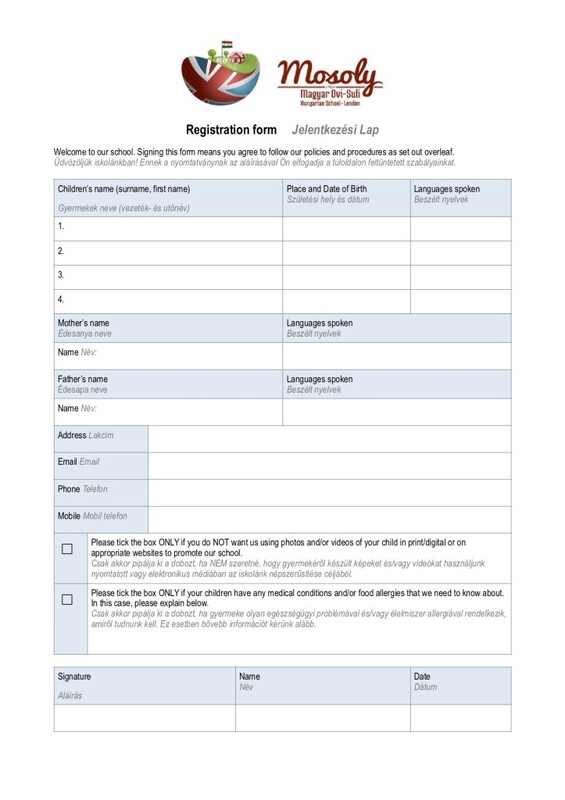 We kindly ask our new members to fill in and sign the attached registration form before joining. We are pleased to invite prospective parents and children for a free trial day. Advance notice is required.